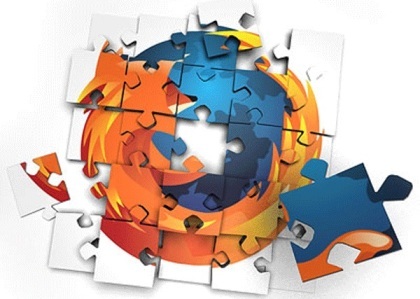 Firefox is one of the most used browser these days, most of the time on your PC you are spending on your browser. So that means you don’t want loose your Firefox browser settings, bookmarks , extensions and browsing data in future. The best option is to save all these type of data is take regular backup of all your Firefox browsing data and settings. To perform this task, you have to use FEBE, a Firefox add-on for backing up your Firefox configurations. With Febe Addon you can take the complete backup of your Firefox browser like extensions, bookmarks, cookies, history, passwords, preferences etc. It’s a free add-on that can back up, save, and restore all the settings on Firefox browser easily. One more thing we like about this addon is that it even allows users to schedule backups and upload it to Box (formerly Box.net). Step 1. Go to the Firefox addon page and install the free addon FEBE on your browser to get started. Step 2. After the the installation of the FEBE addon on your browser, You can see the new option “Backup Utilities” on your Firefox menu. Your next step is to configure the Febe as per you need. 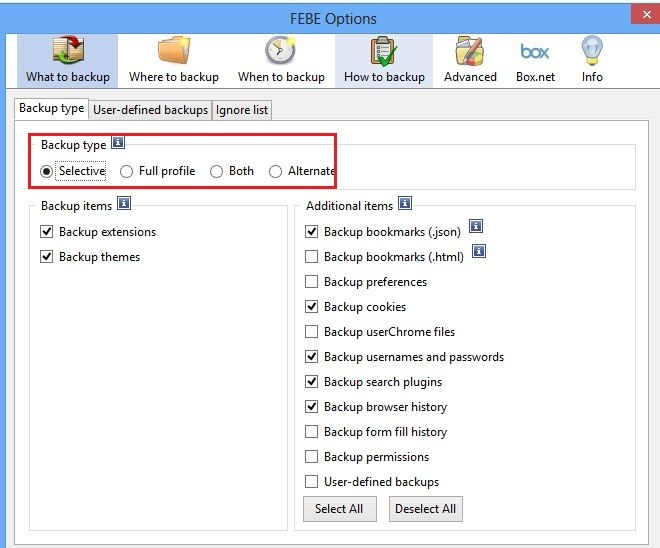 Click on the Firefox button and go to Backup Utilities -> FEBE -> FEBE Options. Step 3. 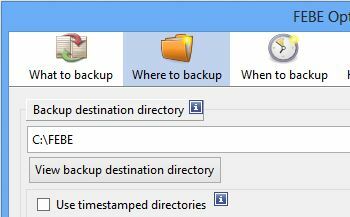 Now go to the “Where to backup option” and select the destination folder where you want to store all your backup files. Step 5. You can also upload the backup file on Cloud serve Box. to do this click on the “Box.net” tab and sign in with your Box account to save the backup files on Box. Step 6. 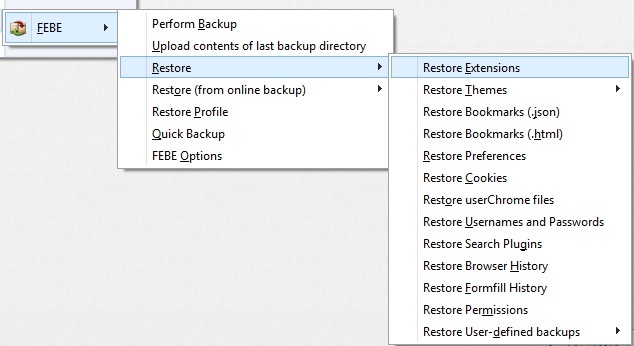 After all the configuration, again Go to the “Backup Utilities” option from Firefox menu and FEBE -> Perform Backup. To start the backup process, the process will take some time and all the backup file will saved in destination folder that you mention on the Step 3. 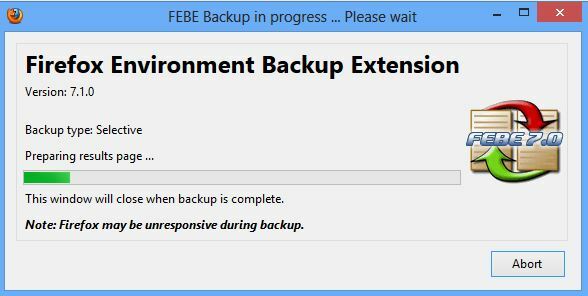 Pretty simple to restore the Febe backup on your Firefox browser. 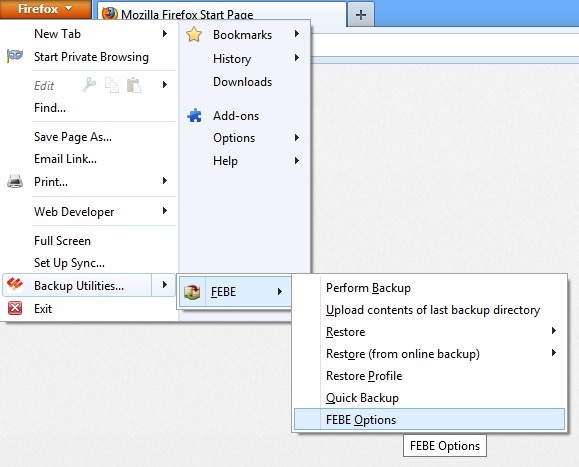 click on the Firefox button and go to “Backup Utilities -> FEBE -> Restore“. From here select the items that you want to restore on your browser. It will ask you to find the backup files from your computer, so slect the folder where you saved the backup file and restore tjhem one by one. FEBE is a must have extension to all Firefox users, with the helps of this addon you can take full backup of your browser and restore them easily.